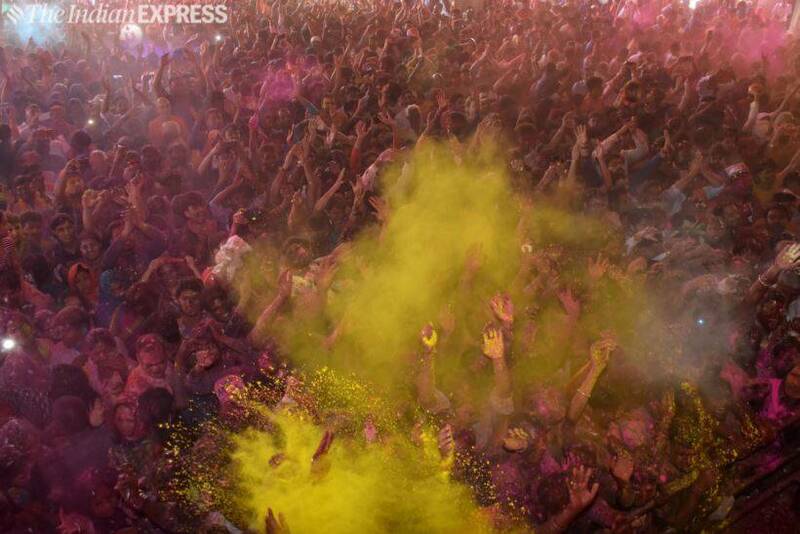 With the festive fervour in full swing, Holi is being celebrated across the country, welcoming the spring. 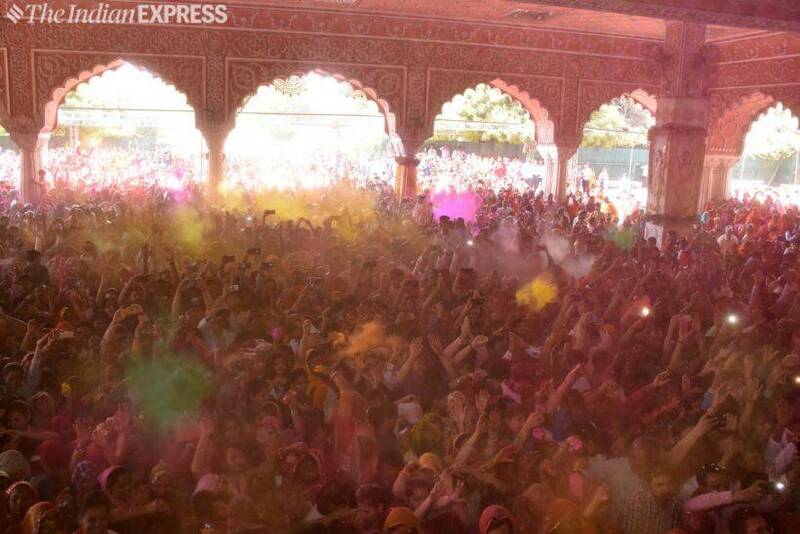 With the festive fervour in full swing, Holi is being celebrated across country, welcoming the spring. This vibrant festival that adds colour to life also include some lip-smacking sweets and savouries, as well as bhang- a customary drink made from cannabis. 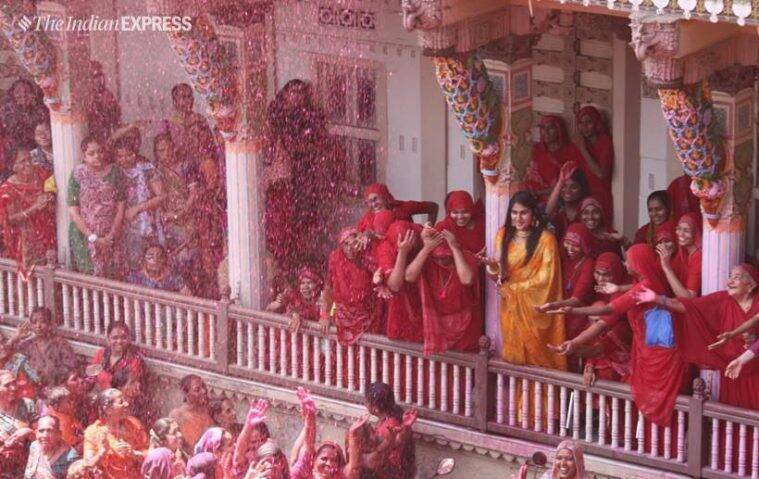 In this picture: Large number of people gather at kalupur swami Narayan temple in Ahmedabad to clebrate Holi. Express Photos by Javed Raja. 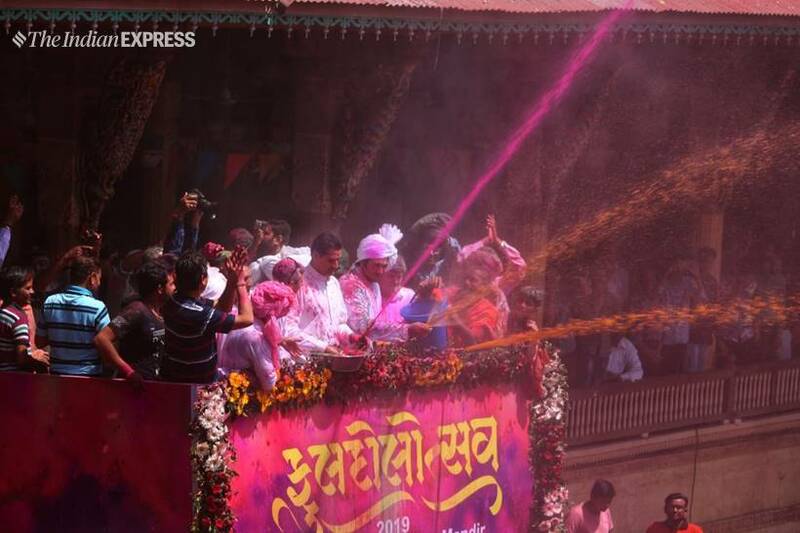 Lalji Maharaj Shri Vrajendraprasdaji Maharaj sprays coloured water on devotees as they celebrate the Holi festival at the Kalupur Swaminarayan Temple in Ahmedabad. Express Photo by Javed Raja. The ancient Hindu festival marks the welcoming of spring and a celebration of the triumph of good over evil. Express Photo by Javed Raja. 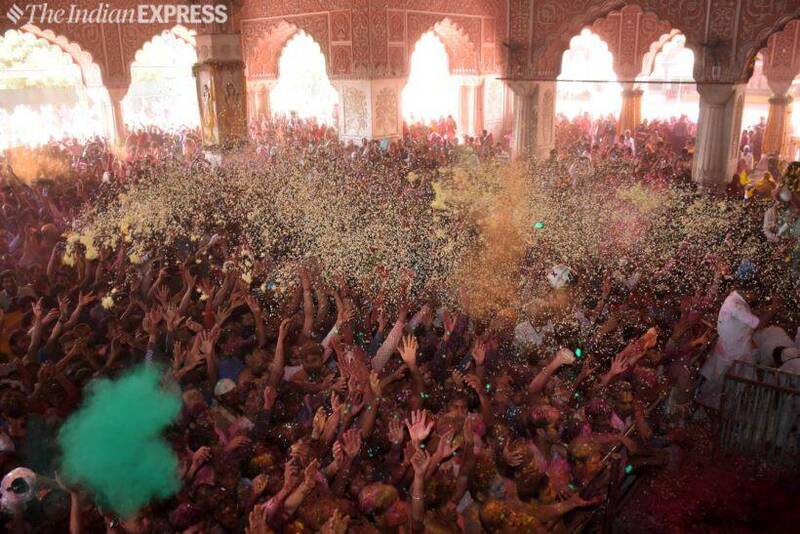 Devotees raise their hands daubed in colours as they pray on a temple premises during Holi celebrations in Ahmedabad. Express Photo by Javed Raja. 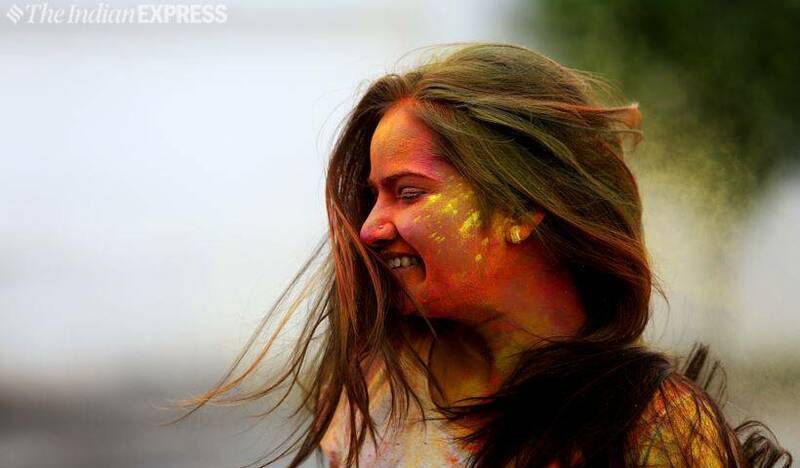 On the day of Holi, people smear each other with colours and hurl water balloons at one another. Express Photo by Javed Raja. Given the increasing awareness about the dangers of synthetic colours, there has been a rise in the number of stores and vendors selling organic gulaals over the years. 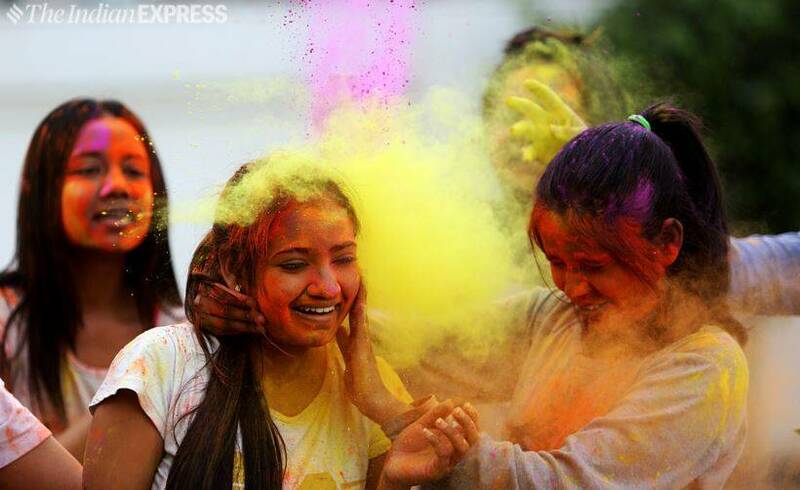 Will you be celebrating this Holi using organic colours? Express Photo by Jaipal Singh.